Even in today's political climate this makes no goddamned sense. The incumbent regime in the U.S. has been making an effort to limit illegal immigration. (We can discuss their motivations some other time.) They also made changes to visa programs to limit green card workers. We can logically infer that the Tepublican party wants both less legal immigration and less illegal immigration to the USA. Whether right or wrong that constitutes a vaguely coherent policy position. However at the same time they are lifting foreign media ownership regulations. (...And foreign political donations) So their policy is that foreigners can't come here to live an work, but they can own our media outlets and thereby control both domestic print and broadcast content? This is where bad policy breaks down into incoherence. Until 2013 the limit on foreign media ownership was just 25%, a minority share. In November of 2013, the FCC decided to adopt a case-by-case approach, allowing larger shares of ownership. In February of 2017 they formally raised that cap not to 49% or 51%, positions that would indicate tolerance for a bare bare minority or a nominal majority share, but straight to 100%. [More here] If Robert Mugabe wanted to buy a U.S. newspaper... he could do that. Before being replaced by Ajit Pai, FCC Chairman Tom Wheeler admitted that it’s unclear how many other foreign citizens have a stake in U.S. radio stations. The FCC does not keep a comprehensive accounting of foreign station ownership because stations do not have to disclose some smaller and/or nonvoting interest holders. In March of 2017 the first foreign media owners in the U.S. were an Australian couple with roots in Alaska. They bought more than two dozen radio stations. Richard and Sharon Burns wholly own Frontier Media and it increased their interest in 29 radio stations in Alaska, Texas and Arkansas from 20 percent to 100 percent. Admittedly they're a quaint couple. Sharon Burns co-hosts a morning show on 105.1 KTKU, and Richard Burns hosts a show on 1330 KXXJ-AM. More here. But also as a result of those policies, the Russian government has began moving into U.S. media outlets. Notably in 2014 the Russian Duma has passed a law, reducing the foreign ownership cap for print publications and radio and television outlets from 50% to 20%. It was passed by with a vote of 430-2. With that in mind it's hard to see this as anything other than deliberate media influence. [More here] Their first purchase was a repeater in downtown Washington D.C. W288BS, operating on 105.5 FM. It airs a political talk radio channel called Sputnik. 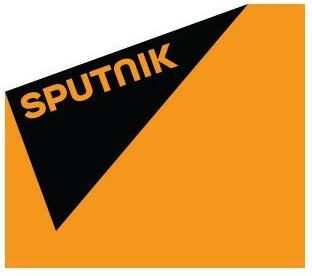 Russian state television presenter Dmitry Kiselyov said that Sputnik would continue their tradition of Soviet propaganda to counter “aggressive” pro-American bias of the western media. More here. So far Radio Sputnik has been focused on the Washington D.C. market in the U.S. They sublease W288BS from Reston Translator, LLC. In November of 2017 they began broadcasting on 1390 WZHF-AM and the Justice Department made the owner of the station, John Garziglia, register as a foreign agent. [More here] The station began as Voice of Russia broadcasting on WTOP-HD2 (103.5-HD2) in about June of 2013. Interestingly WTOP wasn't given the same treatment 5 years ago. As you might imagine, the Democrats were not enthralled with this change. Representatives Frank Pallone, Anna Eshoo and Mike Doyle asked FCC chairman Ajit Pai to investigate. A spokesman for Pai declined to comment. But Pai is a completely evil empty suit and that is to be expected. FCC Commissioner Jessica Rosenworcel [D], said: “These are important questions. They deserve answers.” No answers have been forthcoming. More here.